Walmart: Where you can buy a gun, a bolt of fabric, a laptop and a pet fish. All without leaving the air conditioned confines of the store. For the Australian’s out there, it’s like combining Spotlight, The Good Guys, Pets Warehouse and… well I don’t really know where you’d buy a gun. Unless you’re in my old home suburb of Horsley Park. Then you’d go to the “gun shop”. It probably has another name, but everyone just knows it as the gun shop. I know there are some shoppers who go a little “middle aisle crazy” in Aldi. Just buying random things that they probably don’t strictly need, but they’re pretty and they’re useful so why not? Take Jo, for example, who didn’t know she needed a set of traffic cones (witches hats to us Aussies) until she stumbled upon them in the Aldi middle aisle. Classic. Think of Walmart as thousands of square feet of the Aldi middle aisle. 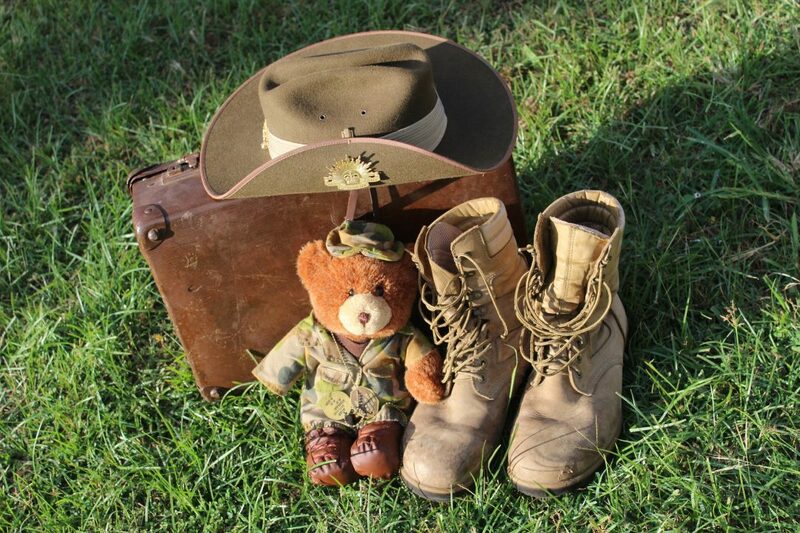 There’s everything you could want and a tonne of things you don’t know you need…yet. For more weird things on sale in the US, check out my list of the top 12 strangest products. Let’s kick off with an American favourite, shall we? 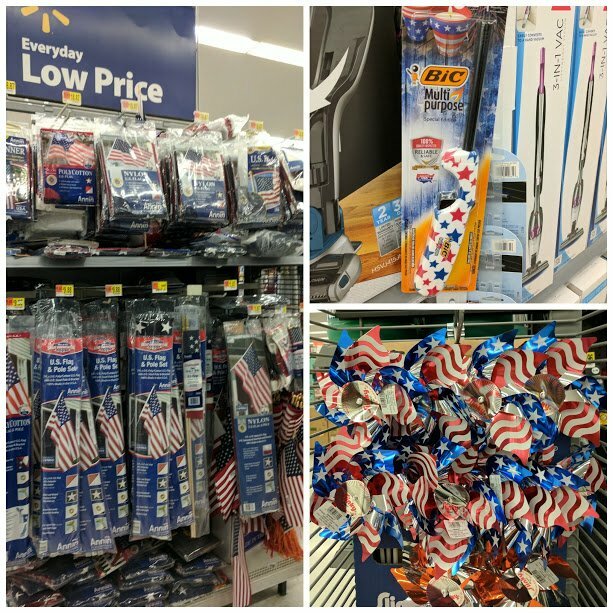 I visited Milpitas Walmart almost two months after July 4th. It turns out patriotism isn’t only for Independence Day, it’s for every day of the year. Especially when you can purchase a handy star-spangled multi-purpose lighter, a US flag and pole set, something called a US banner, bunting and the perfect-sized flag for hand waving. Oh and don’t forget your American wind spinners for the front yard, or to deck your husband, son or boyfriend out in some fashionably questionable patriotic t-shirts. You’ll fit right in at the next hoedown. They include choice slogans such as “Sorry, I can’t hear you over the sound of my Freedom!”, “American Freedom” and “Born Free America”. All with the pre-requisite numbers of eagles, skulls and kitschy George Washington’s wearing sweet shades. Sorry, I can’t hear you over my eyes rolling to the back of my head for fear they’ll be forced to see any more misplaced American pride. Please direct all hate mail C/O Donald Trump, Washington DC. I wandered out to the gardening section on the off-chance I’d find a Bunnings-style bbq. I was disappointed in the snag department, but not the wares. It turns out gardening is a broad term, encompassing plants (fair enough), pool equipment, bbq’s, smokers, bicycles and Halloween costumes. Halloween is only two months away so it’s time to start planning your costume I suppose. Grab a cheap and cheerful raccoon or teddy bear plush mask and you can sweat it out like those poor characters at Disneyland. Now that’s sorted, we’ll need some kind of floating craft to get us down an invisible trick or treating river. Hang about, there’s one lonely kayak just waiting for me to buy it! That’s lucky! No paddles in sight though. Time to get outta gardening before we find useful things like pitchforks (which I couldn’t find at all in there). 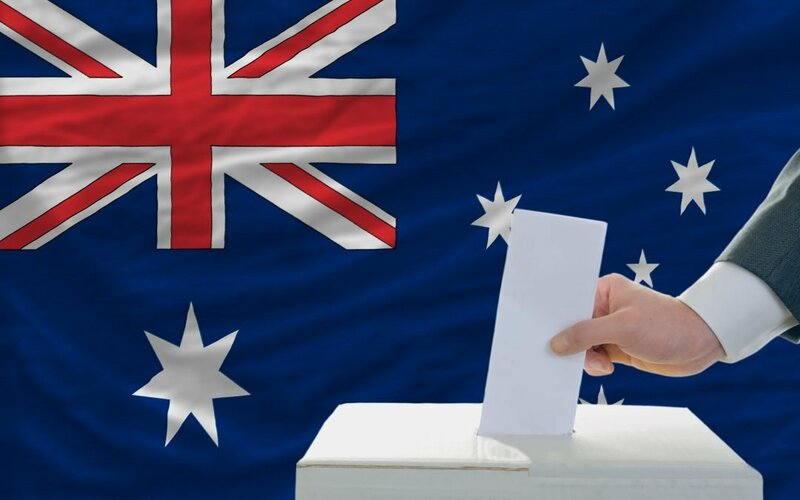 It is a truth universally acknowledged, that an Australian expat in possession of a good whack of homesickness, must be in want of reminders of home. 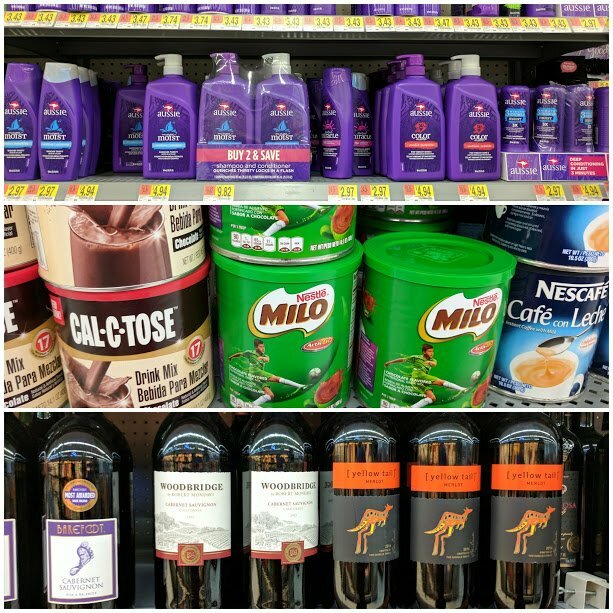 And by that token I bring you the all-together surprising news that I found two Aussie “products” at Walmart. Because Walmart is also a supermarket. As well as a discount store. And that place where you buy furniture and car batteries. Have you ever been in the supermarket, staring at the fishmonger section and thought “I wish I could just go out and catch my own fish“. Well human, you’re in luck. Stroll down to Walmart’s opposite corner and you’ll be in the camping, hunting and fishing section. 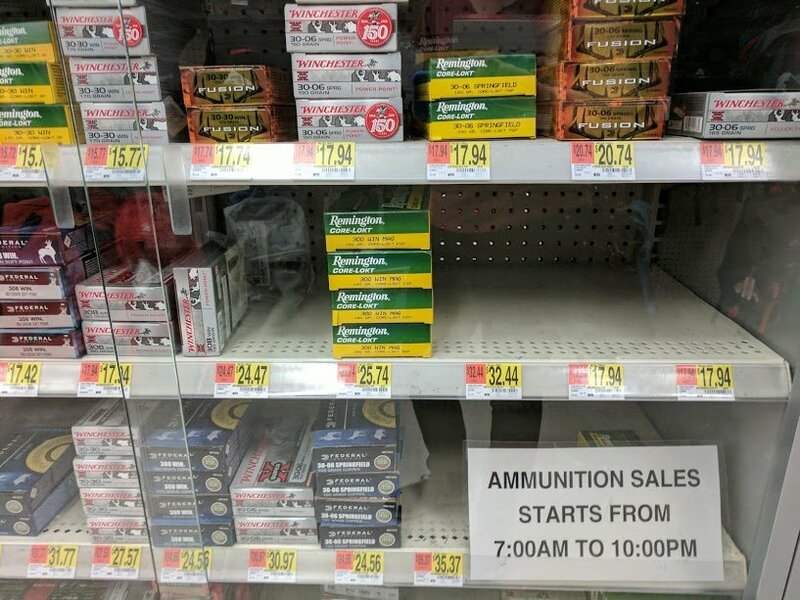 You’ll find ammunition, but only between 7AM-10PM so don’t go on a midnight jaunt to stock up on shells, some impressive hunting knives, fishing rods and bait. 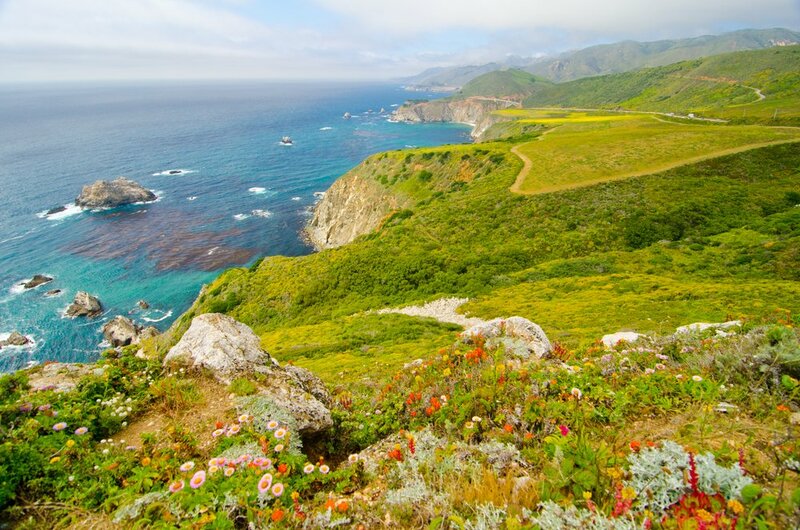 Presumably you’ll head straight to the nearest body of water to test out your new purchases. 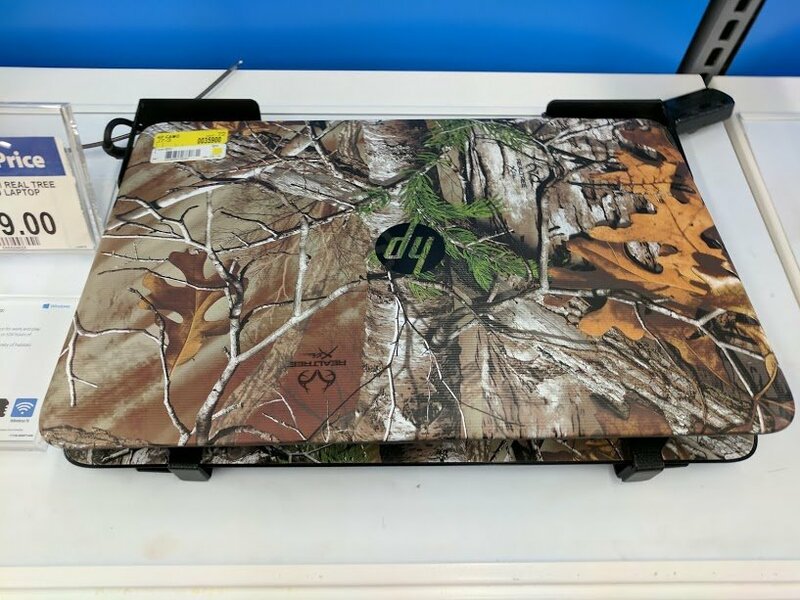 If you’re more of the hunting type, Walmart has the technology side of things covered. I can’t even begin to list the number of times I’ve been sitting in a hide, tapping away on my laptop to pass the time, when my prey spots the silver laptop cover and scatters. That’s why you need a camouflage laptop. Obviously. What other possible reason could there be to sell something like that? If you’re more of the gathering type, stick to the grocery section. There’s fruit and vegetables, meat, a bakery section complete with doughnuts and your usual staples. I found Hamburger Helper, which I’d only heard about in American Sitcoms. Strangely enough these had nothing to do with hamburgers. So what exactly is it then? Don’t be surprised if you run into your local nurse or doctor down at Walmart one day. 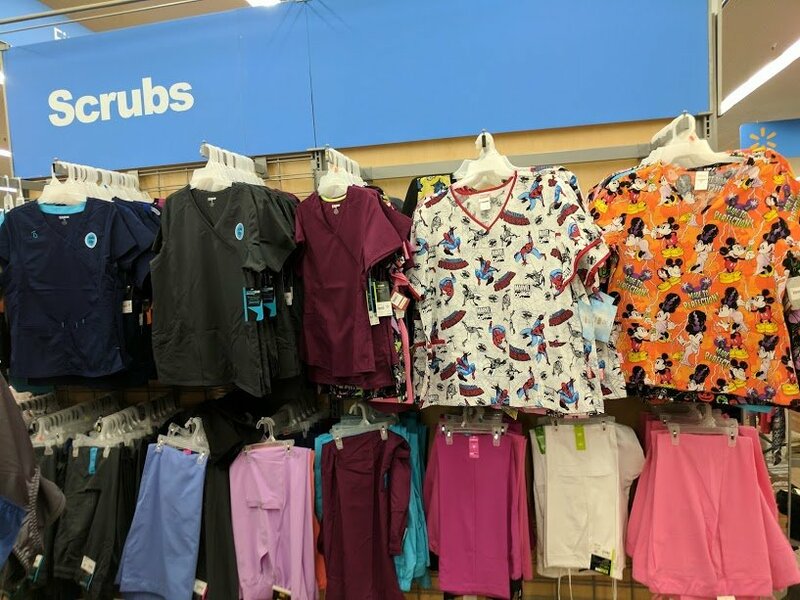 They’re probably there for the amazingly patterned, and cheap, medical scrubs. I’ve never seen them in stores before, but they do make it much easier to impersonate a medical professional. Keep that in mind when you’re considering a Halloween costume. Speaking of Halloween, there is also an amazing array of onesies ranging from Chewbacca to unicorns with a detour over to Ninja Turtles. Just like Big W and Kmart, Walmart has its own photo development facility. But as a bonus there’s an optometrist and a pharmacy. While I waited for my holiday snaps to be printed I wandered next door to the pet food department where I came face to face with a bunch of goldfish. 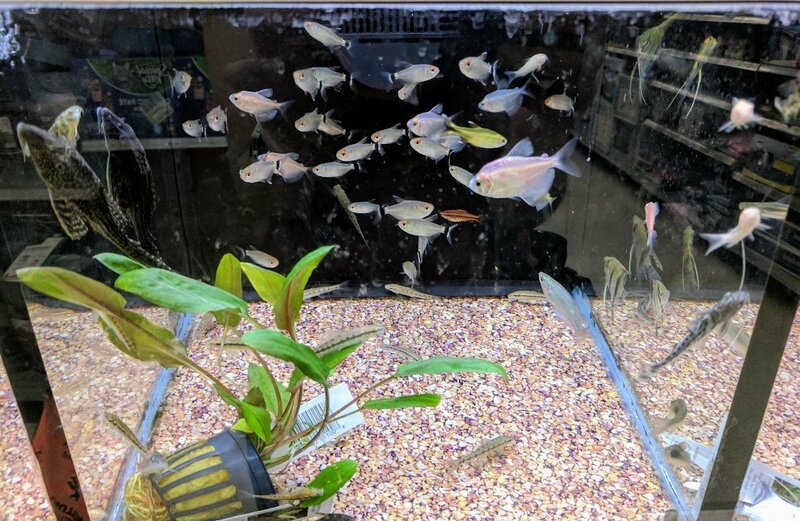 They were the only live pets available in the store and are great to watch commute from one side of the tank to the other. 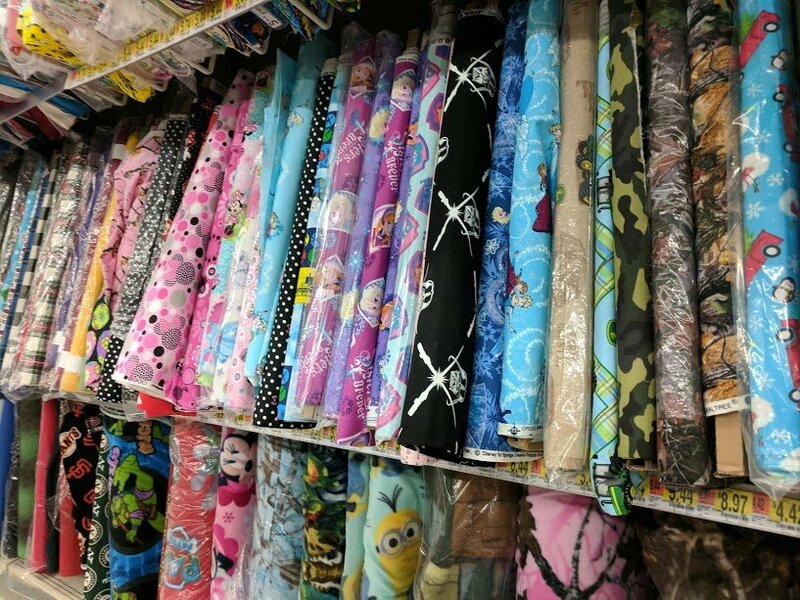 But if you’re a sewer, you’ll be happy to know that the Milpitas Walmart Supercenter has an entire row full of bolts of fabric. I felt like I was in Spotlight. Or in the General Store of a gold mining town. Which reminded me, I need a new car stereo! It’s off to the automotive section, where you can get a new battery, jump-start kit and a selection of in-car air fresheners. A quick detour to the fitness section and there’s all the free weights that I could never lift, plus a handy wireless speaker water bottle so everyone around me can enjoy my workout tunes. You’re probably wondering what I walked out of Walmart with, after spending two hours wandering its aisles? And that, my friends, was my first trip to Walmart. I’ll be back, just not right away. WTF! I don’t know which part alarms me more, the ammo or the hamburger helper. What even is that?! I have no clue. The box does not give up its secrets easily. Lol at y’alls conversation about Hamburger Helper above! It’s like a meal in a box, just add ground beef and it’s pasta/beef/cheese/whatever, viola lol. Man Walmart is totally American isn’t it lol. I try to avoid that place at all cost. My go-to is Target, I can get (most) of the stuff above plus cute shoes lol. Lollllll…. hahaha, I love this! Yep, reminded me of my first trip to Wal-Mart. I didn’t see any gold fish but my eyes were sure bulging out like one. Oh wow. Just wow. I saw a movie once where a person actually lived in a WalMart (I think he was escaping from someone/something) and now I have seen inside thanks to you…I can see why!! O.M.G. alright! Lived in a Walmart? Well they do have everything! I’ve heard of being stateless and living in an airport, but never in a Walmart. I want to go back and buy one of those Halloween costume bear heads. Oh this is great! 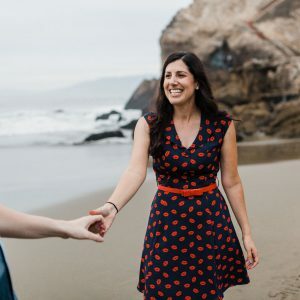 I love seeing your perspective on something that’s just always been normal for me. It is quite strange when you think about it. 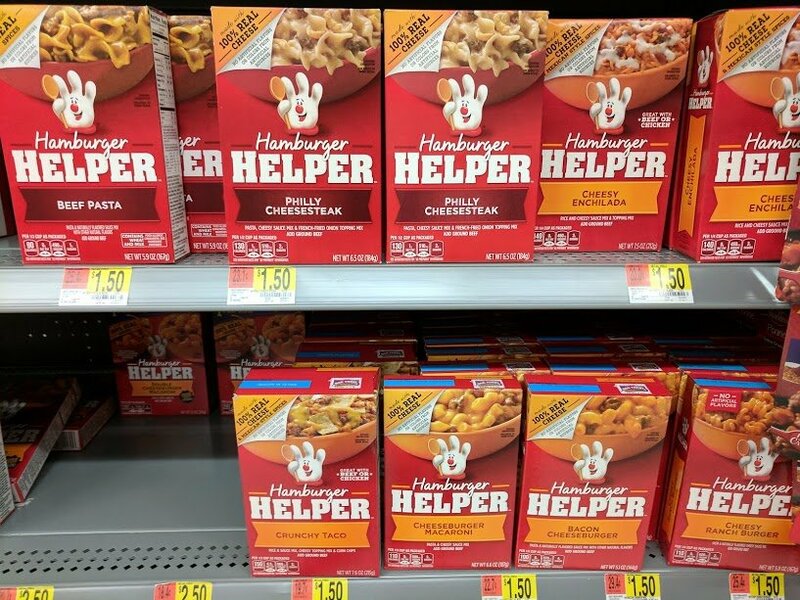 Even the Hamburger Helper – it was a staple in my diet growing up. I don’t really recommend it, however, it’s cheaper and better to just purchase the pasta and cheese separately if you want to make a meal like that.